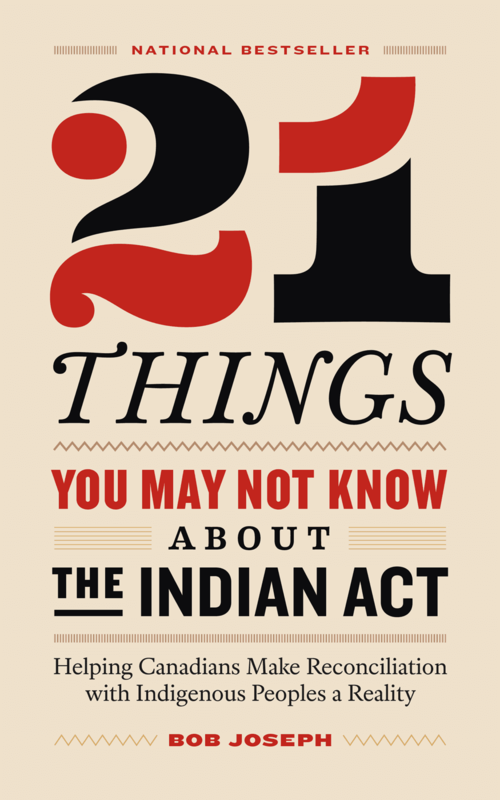 Based on a viral article, 21 Things You May Not Know About the Indian Act is the essential guide to understanding the legal document and its repercussions on generations of Indigenous Peoples, written by a leading cultural sensitivity trainer. To read, listen to, or watch interviews with Bob Joseph, pop over to our Press page. Click here to see artistic renditions of the Indian Act policies. The Indian Act, after over 140 years, continues to shape, control, and constrain the lives and opportunities of Indigenous Peoples, and is at the root of many stereotypes that persist. Bob Joseph’s book comes at a key time in the reconciliation process, when awareness from both Indigenous and non-Indigenous communities is at a crescendo. Joseph explains how Indigenous Peoples can step out from under the Indian Act and return to self-government, self-determination, and self-reliance—and why doing so would result in a better country for every Canadian. He dissects the complex issues around truth and reconciliation, and clearly demonstrates why learning about the Indian Act’s cruel, enduring legacy is essential for the country to move toward true reconciliation. Available in paperback and eBook format. #2 of Top 20 for BC bestsellers in 2018! Bestseller for 52 consecutive weeks on Amazon.ca, and BC Bestsellers, and 26 weeks on the Globe and Mail's Bestseller list, and two weeks as the #1 Canadian non-fiction book! "Increasing Canadians' knowledge about the terrible foundation this country has been built on is a critical part of reconciliation. Bob Joseph has highlighted some of the unbelievable provisions of the Indian Act and how they have impacted First Nations in Canada and gives a brief overview of what we may replace it with going forward. His book provides helpful context to the dialogue that needs to take place in Canada." Kim Baird, O.C., O. 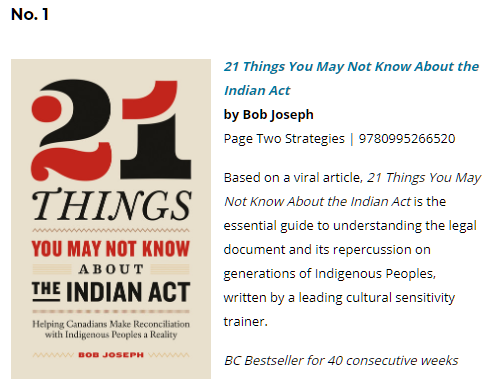 B. C.
"Bob Joseph, one of the preeminent instructors in Canada on how to develop positive relations with Indigenous people, has written a must read book for business leaders. His straightforward writing style paints a picture so that all Canadians can appreciate the draconian and oppressive nature of the country’s most racist legislation. The book identifies restrictions that range from laughable – prohibiting First Nations people from entering pool halls – to sinister – forbidding First Nations people from practicing their traditional beliefs and speaking their language. If you want to work with First Nations communities, read this book." "Bob’s ability to navigate the complex history of the Indian Act is a wonder to behold. He provides depth and knowledge for Indigenous and non-Indigenous scholar’s alike. Whether you are an Indigenous scholar or a neophyte, his articulate, insightful and comprehensive analysis on the history of the Indian Act provides a sound understanding on the present narrative of Indigenous peoples in Canada. By way of the Indian Act, this book provides an excellent analysis of the ongoing relationship and predicament between provincial and federal governments and Indigenous peoples in the 21st century." 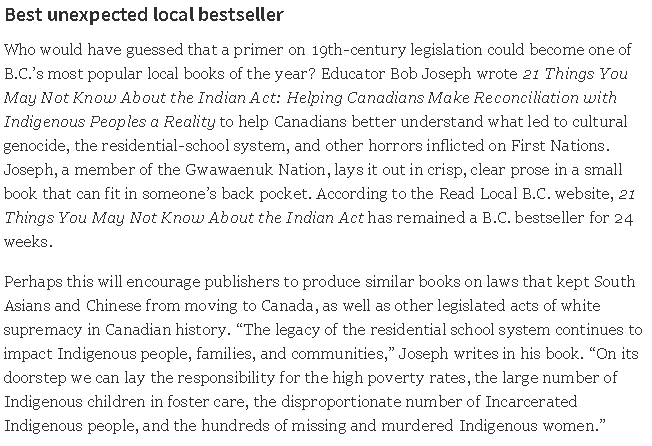 "Bob Joseph provides an incredible glimpse into the lengths the Canadian Government took to limit Indigenous peoples from achieving health, wealth, and cultural connections through the Indian Act. That much of this is still legal today is baffling, as he provides examples of how assimilation at all costs is still the end goal of the Indian Act. Canada still has much work to do to achieve reconciliation with Indigenous peoples, and as Bob says 'to dismantle the Indian Act once and for all'." "I have a deep hope for Canada that there can be reconciliation. I want every Canadian to imagine a Canada in which every person will live with dignity, value, and purpose. But to do that, there must be reflection on our shared history and the harmful periods and events that continue to haunt us, as a nation, today. Understanding the Indian Act is fundamental to understanding why those harmful periods and events took place. Bob Joseph's book is an invaluable tool for Canadians who want to understand the past in order contribute to reconciliation in our country." Chief Dr. Robert Joseph, O.B.C. 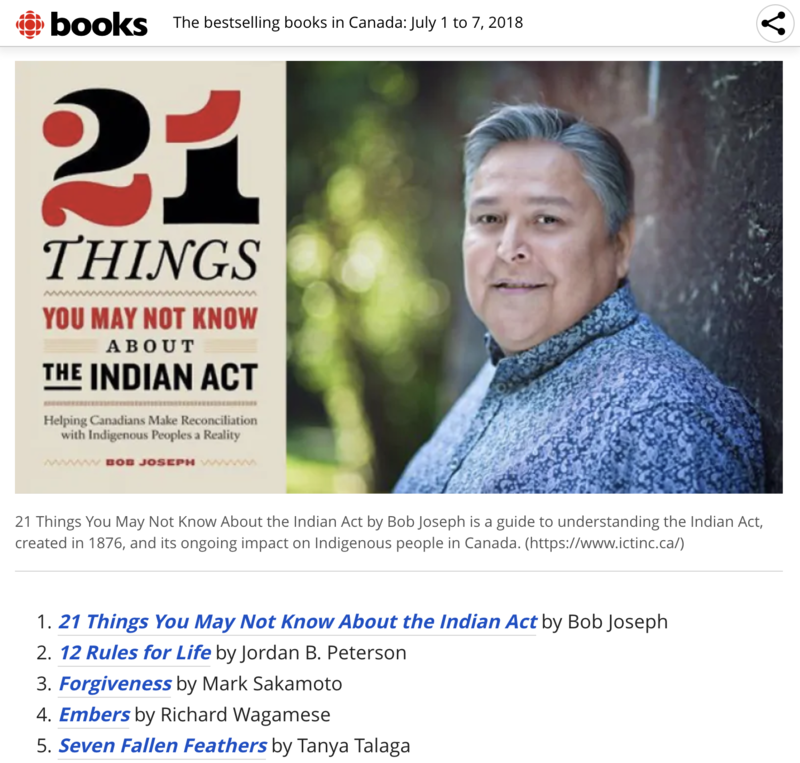 "From declaring cultural ceremonies illegal, to prohibiting pool hall owners from granting Indigenous people entrance, from forbidding the speaking of Indigenous languages, to the devastating policy that created residential schools, Bob Joseph reveals the hold this paternalistic act, with its roots in the 1800s, still has on the lives of Indigenous people in Canada in the 21st century. This straightforward book is an invaluable resource. There is much for non-Indigenous people to learn and to do. But equally important, there is much to unlearn and to undo. The time is right for this book. Thank you, Bob Joseph. Gilakasla."